She didn’t “lose it,” she was paid for it, and wisely accepted the same amount that she paid for the ring, avoiding an international incident. The Mary Sue, a site we have been enjoying lately, got it just right. Not completely incidentally, Ted Scheinman filed a funny, gossipy report from the JASNA AGM in the Paris Review that pretty much revealed the identity of the Anonymous Benefactor. ETA: Tony Grant has written a wonderfully detailed overview of the whole episode with additional information about the ring itself at Jane Austen’s World. Alert Janeite Cinthia let us know that the JA House Museum is now accepting online donations at http://www.justgiving.com/jamt/Donate. The suggested amounts are shown in your local currency–and you can change it to something different if you prefer. If you want to know how much the museum will receive in British pounds, Google “currency converter” and a converter appears at the top of the results. If you can give, even a little, please do. If you can’t (and believe us, we know times are tough right now), please spread the news on social media and among your Janeite acquaintances. More good news! 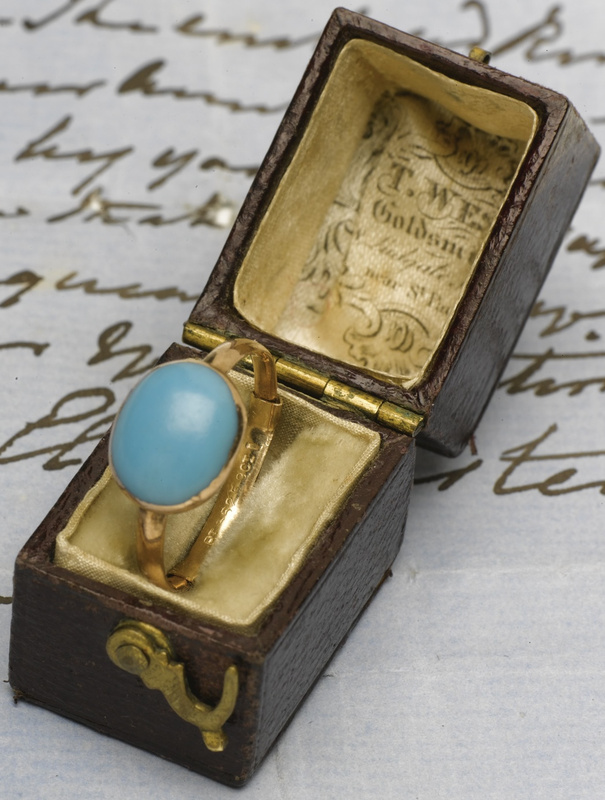 Jane Austen’s House Museum has announced that an anonymous donor has contributed £100,000 towards the purchase of Jane Austen’s turquoise ring from Kelly Clarkson. The museum has now raised enough to “show a serious expression of interest to buy the ring”. It has until December to raise a further £49,000. The museum, in Chawton, Hampshire, is Jane Austen’s former home. Thank you, anonymous donor! But there’s still a long way to go. Please read our post about how to donate and consider sending a donation if you are able, even a small one. We know times are tough for many of us right now, so if you can’t donate, spread the word! Twitter, Facebook, G+, wherever you hang out online, let everyone know about this campaign. We didn’t mention this back when it happened because we were on our latest Unscheduled Blog Hiatus (cough), but a while back, singer and former American Idol winner Kelly Clarkson purchased a turquoise ring that once belonged to Jane Austen. However, because of the importance of the ring to British culture, the British government moved to block Miss Clarkson from taking the ring (which she apparently intended to wear as her engagement ring) out of the country. Look, Kelly, if you’re really that big of a Jane Austen fan–and we truly do not doubt that you are–do the right thing. Imitate Alberta Burke, possibly the greatest collector of Austeniana ever, who purchased the lock of Austen’s hair and then, while at a Jane Austen Society annual meeting, responded to complaints about Austen relics being taken out of the country by standing up and donating the lock to the Jane Austen Memorial Trust. It was done in pride and anger, but still–she did it. 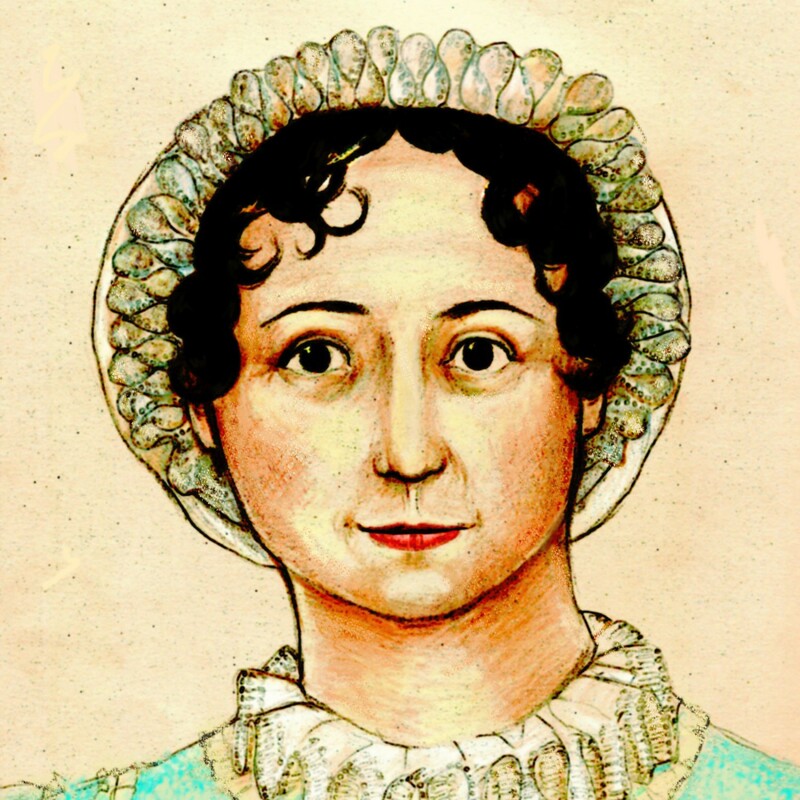 Mrs. Burke’s Austen letters went to the Morgan Library, and many of her other collectibles to Goucher College. She enjoyed them in her lifetime, and then donated them so that others might enjoy them (and many of us enjoyed those letters a couple of years ago at an exhibit at the Morgan Library). You have a lovely replica of the ring that your fiancé had made–and what a Mr. Knightleyish thing to do–that you can wear daily, secure in the knowledge that you’re not ruining an heirloom, and showing your love for Jane Austen every day. Kelly, do the right thing: donate the ring to the Jane Austen Memorial Trust. Do it now, or later, but do it. It’s the right thing to do. It’s the Janeite thing to do.